Fujifilm continues to flourish its instant print camera system with their latest Instax Square SQ20, but this time around, it is not completely analog, instead a hybrid one! 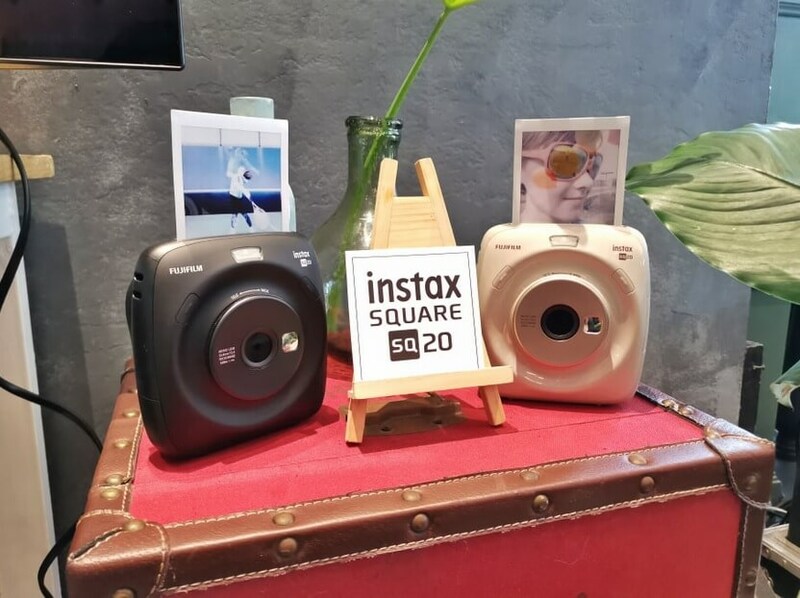 The Instax Square SQ20 is a hybrid instant camera, which in simple words allows users to capture multiple photos, then select the best photos after shooting before printing. Not only that, it also has a variety of filters and lots of editing tools that users will surely love and enjoy. Frame Grab - allows users to shoot up to 15 seconds long video, then select the frame that captures the best moment, and print that specific frame. Time Shift Collage - allows users to capture four images taken at different times, then print it in one frame. Sequence - a special filter that creates a sense of action or whimsy. Moreover, it also offers different kinds of shooting modes, such as double exposure that combines two images into one single image, bulb that opens the shutter as long as it is being pressed, and split that lets users to have multiple photos, 3, 4, or 9, in one output. In addition, it is also the first instax camera to have zoom function, a digital zoom that is, which allows you to zoom up to 4x and adjust the view angle in any matter you like. As a digital camera, the internal storage can hold up to 50 still pictures, but you can easily pop in a MicroSD card to increase that to more than a few hundreds or thousands, depending on the card capacity. On top of that, it also saves the last 50 photos that were printed, allowing user to easily reprint. The Fujifilm Instax Square SQ20 has a stylish and easy-to-hold design, and available in two color variations, namely Matte Black and Beige. This hybrid instant camera can be yours for only Php12,999!